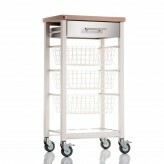 Expand your kitchen storage with this stylish and trendy kitchen trolley from Hahn Kitchenware. 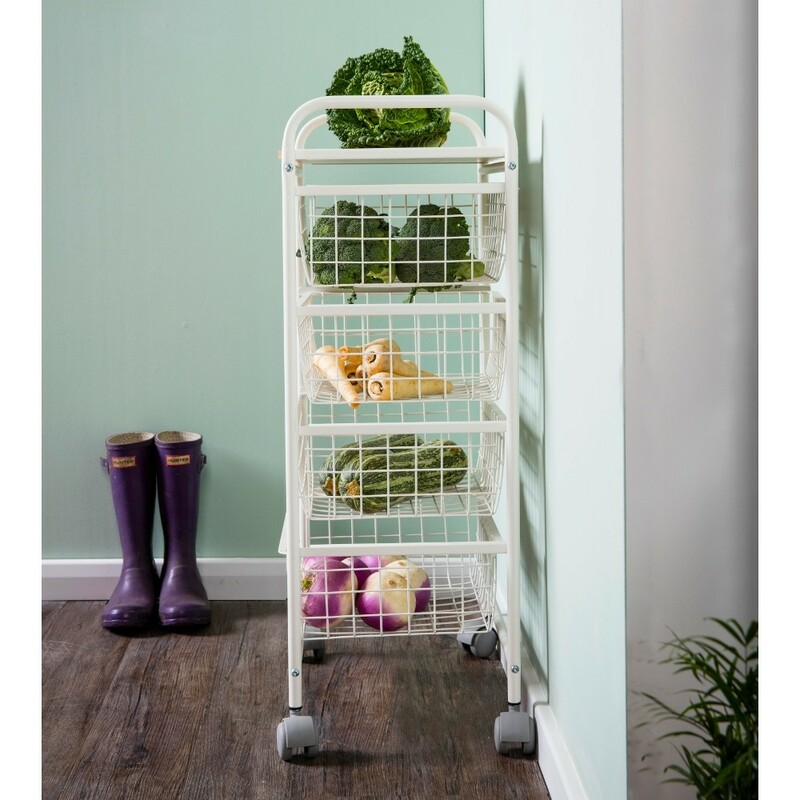 Compact and practical, this kitchen trolley is superb for those wanting to add extra storage for their fruit and vegetables. 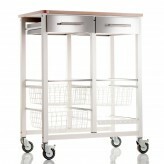 Stylish in design, this kitchen trolley is suited to all kitchens and is made from powder coated steel in a clean ivory which looks superb alongside the smooth beech worktop. 4 wheels have been included for manoeuvrability, ideal for those wanting to move their new kitchen trolley around their kitchen at convenience. 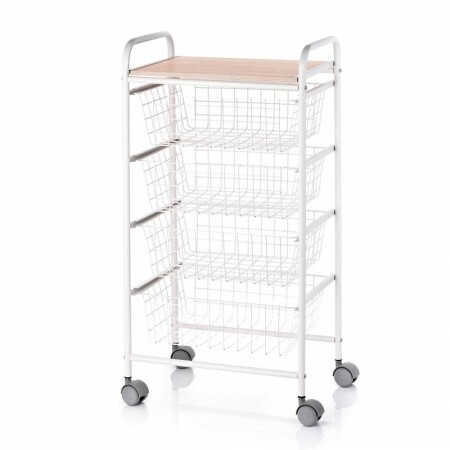 Assembly will be required when purchasing the Fiesta kitchen trolley. 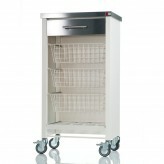 This kitchen trolley measures at 44cm wide and 86cm high. 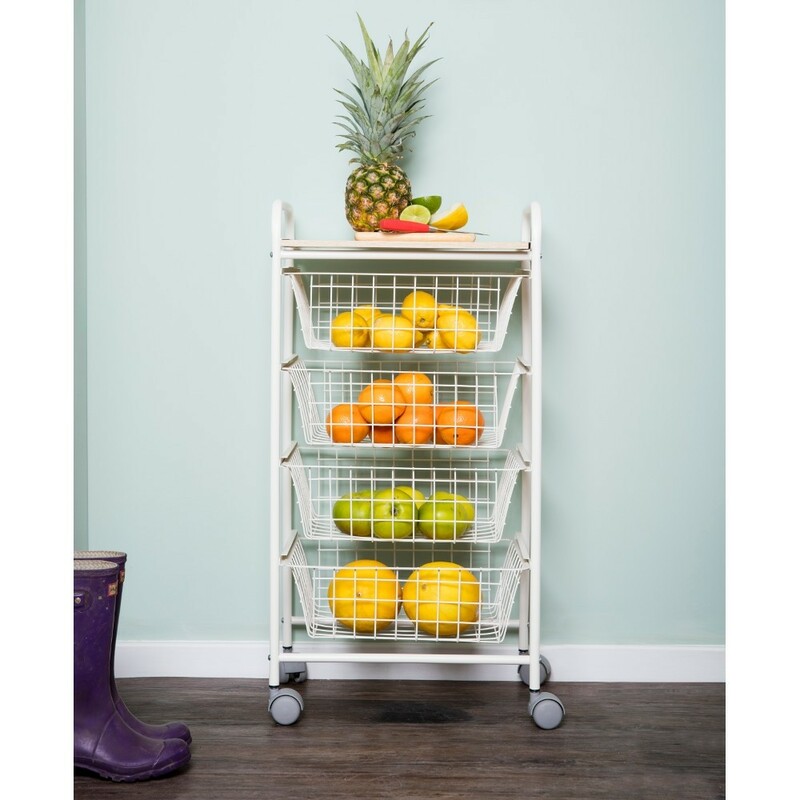 Improve your kitchen storage with this portable and stylish kitchen trolley.